For the first time in Australian Federal Parliamentary history, a motion recognizing the Armenian Genocide was accepted for debate by the bipartisan Selection Committee of the House of Representatives, the Armenian National Committee of Australia reports. The debated motion recognizes, among other things, “the extraordinary humanitarian efforts of the then newly formed Commonwealth of Australia for the orphans and other survivors of the Armenian Genocide, as well as the other Christian minorities of the Ottoman Empire including Greeks and Assyrians”. 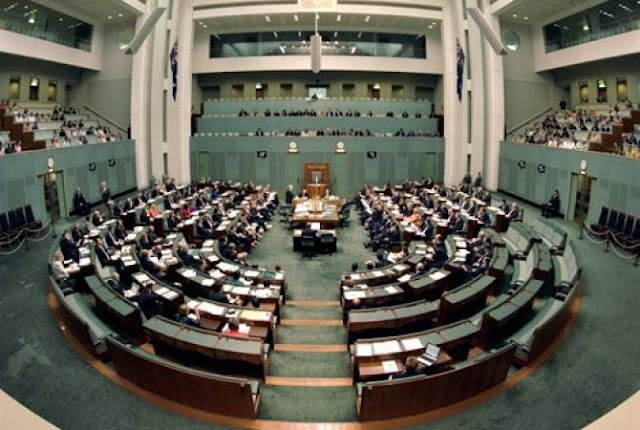 This comprehensive, bipartisan support indicates that the House of Representatives has taken a major step towards Australia recognizing its first major international humanitarian relief effort was to aid survivors of the Genocide. “In remembering the victims of the Armenian Genocide and those Australians who came to their aid, we send a message that the events which started in 1915 are not just some footnote in history. For if we hide from the truth, if we fail to recognize the evil that was perpetrated against the Armenians, we simply provide succour to those today and in the future who think that they can deny the most important of human rights, of life itself”, MP Trent Zimmerman said in his remarks. . .